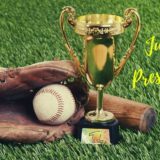 Our Junior players have the opportunity to attend the Sydney Blue Sox game on Saturday 15th December 2018 @ Blue Sox Stadium. 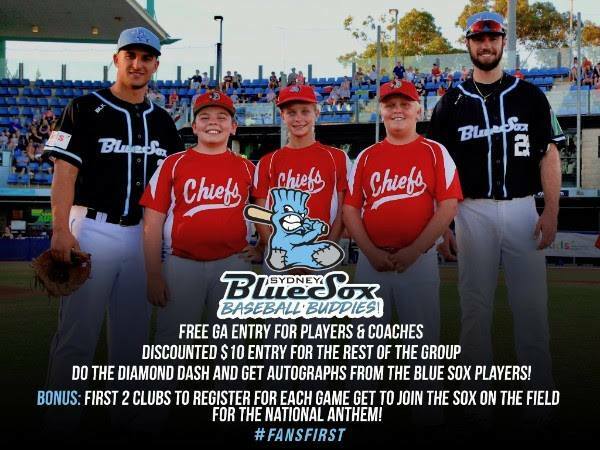 The kids will be joining the Sydney Blue Sox on the field for the national anthem. Players need to wear full club uniform. They should wear regular sneakers (no cleats), this is at the behest of Sydney Blue Sox. There is free parking onsite. If you arrive late, your child’s tickets will be left at the VIP window of the box office for collection. Junior players (and coaches) get free entry to the game. 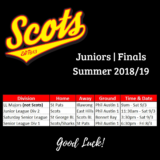 Please RSVP to juniors@scotsbaseball.org.au by Friday, November 30th with the names of your children that are registered for the 2018/19 summer season. 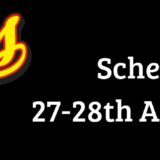 You will need to book tickets for yourselves and for the rest of your family, and any friends that wish to come along too (the more the merrier). Just book online at www.sydneybluesox.com.au/tickets or over the phone with the Blue Sox on 9677 0914 and use the promotion code BUDDIES18 to get the special $10 General Admission tickets for adults and kids. 3:10PM: Sox staff member to collect team from GA grass area to guide them to the dugout. Team to run on field with ABL players. 6:30PM: Game 2 begins (families may stay for 2nd game). Bottom 8th: Players to line up near dugout in GA area. End Game: Players to run on field to do the Diamond Dash. All welcome to get autographs from Sox players after the game!